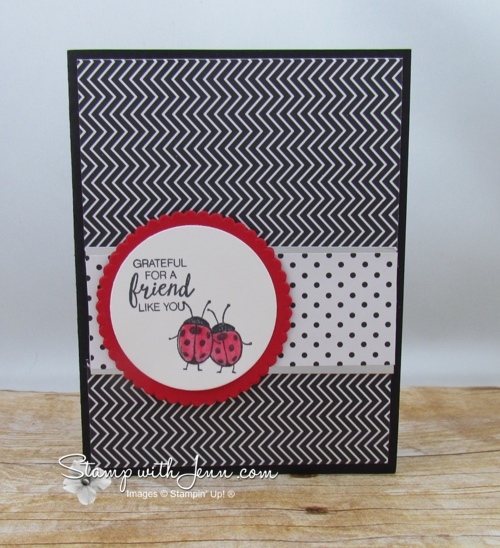 Today, for “Simple Saturdays” I’ve got a cute card to show you using a retiring Hostess rewards stamp set. See the list of retiring products below. 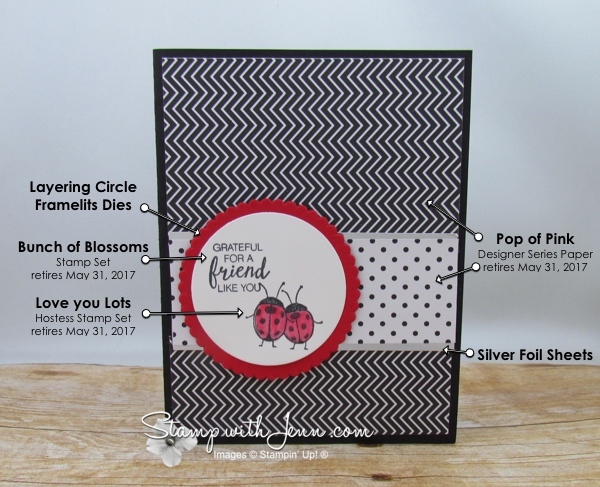 This card, using the Love you Lots stamp set was made by Karen Duke from Alberta. I love how simple and easy this card is to make using just the image from the stamp set and some Designer Paper. The set is super adorable (see the image below) and the only way to get it is have an order that reaches a rewards total of $200. So you have a long wish list or have a few friends who might want to group together an order, you can get this stamp set with your rewards dollars. Click HERE to shop online now or email me anytime. See all the items on this card below or click in the slider for a printable supply list or to view them online. See all the retiring items items here. 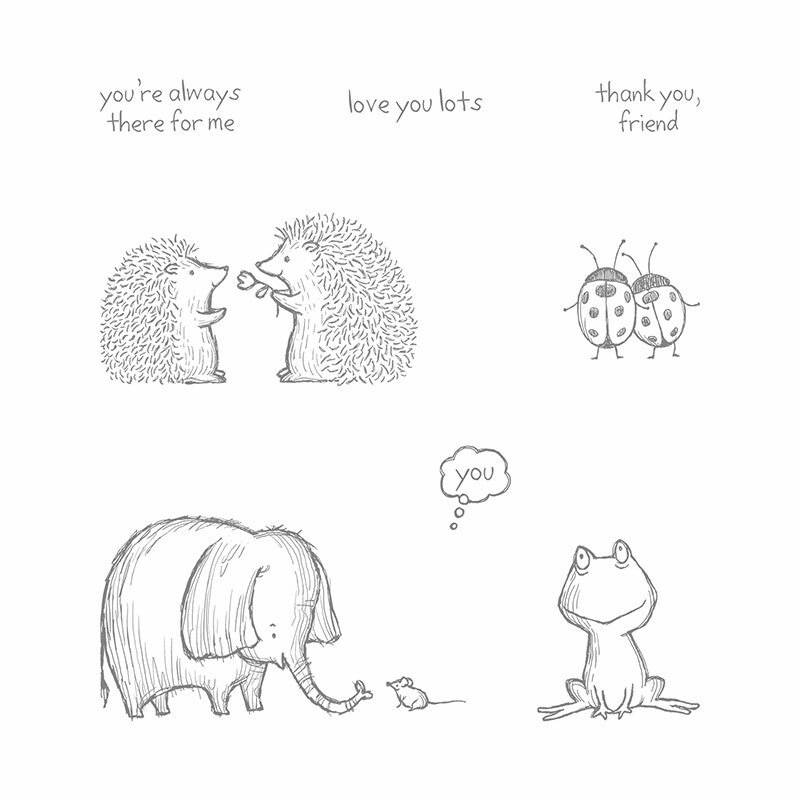 Check out my Facebook page today too for another couple of ideas with the Love you Lots stamp set.